Calamine: Mineral information, data and localities. Named in 1747 by Johan Gottschalk Wallerius (Vallerius). An early name that covered the zinc minerals smithsonite, hydrozincite and hemimorphite, which often occur in intimate association with each other. Typical alteration product of (Pb-)Zn ores (sphalerite). Smithsonite 9 photos of Calamine associated with Smithsonite on mindat.org. Hemimorphite 8 photos of Calamine associated with Hemimorphite on mindat.org. Willemite 3 photos of Calamine associated with Willemite on mindat.org. Limonite 2 photos of Calamine associated with Limonite on mindat.org. Galena 1 photo of Calamine associated with Galena on mindat.org. Smithson (1803) Royal Society of London, Philosophical Transactions: 12 (Hydrozincite). Palache, C., Berman, H., & Frondel, C. (1951), The System of Mineralogy of James Dwight Dana and Edward Salisbury Dana, Yale University 1837-1892, Volume II: Halides, Nitrates, Borates, Carbonates, Sulfates, Phosphates, Arsenates, Tungstates, Molybdates, Etc. John Wiley and Sons, Inc., New York, 7th edition, revised and enlarged: 176 (smithsonite), 247 (hydrozincite). [Hydrozincite] Palache, C., Berman, H., & Frondel, C. (1951), The System of Mineralogy of James Dwight Dana and Edward Salisbury Dana, Yale University 1837-1892, Volume II: 248. [Smithsonite] Van hee, Paul (2019) De Mavoio mijn, Uige, Angola - een mythische kopermijn... gaat ze terug open,... of is ze terug open? Geonieuws, 44(4), 101-104 [in Dutch]. ⓘ Malpaso Quarry (Esperanza Quarry) ? [Hemimorphite] N. Pezzutti y M. K. de Brodtkorb (1975). La asociación auricalcita, smithsonita, hidrozincita y hemimorfita, de la manifestación el Llanito, provincia de La Rioja. 6° Congreso Geológico Argentino, 3:123-132. [Hemimorphite] A. Brodtkorb y M. K. de Brodtkorb (1999). Distrito La Helvecia (Plomo, cinc y bario), La Rioja. En: Recursos Minerales de la República Argentina (Ed. E.O. Zappettini), Instituto de Geología y Recursos Minerales SEGEMAR, Anales 35:691-696. [Hemimorphite] A. G. Quiroga y T. Ruíz (1994). Mimetesita, Pb5[Cl(AsO4)3] de la mina Diana, dpto. La Poma, provincia de Salta, Argentina. 2da Reunión de Mineralogía y Metalogenia. Instituto Nacional de Recursos Mineros, UNLP. Publicación 3:325-335. [Hemimorphite] McQueen, Ken G.; J. R. Caldwell; P. W. Millsteed (July 1988). "Primary and Secondary Minerals at the Paddy's River Mine, Australian Capital Territory". Australian Mineralogist 3: 83–100. [Smithsonite] Gilligan, L.B., Suppel, D.W. (1993) Metallogenic Study and Mineral Deposit Data Sheets: Nymagee 1:250 000 Metallogenic Map (SI/55-2). Geological Survey of New South Wales, Sydney, 171 pages. [Smithsonite] Degeling P.R. (1982) Wagga Wagga 1:250 000 Metallogenic Map (SI 55-15) Mine Data Sheets and Metallogenic Study. Published by the Geological Survey of New South Wales. [Smithsonite] R.E. Brown, H.F. Henley and W.J. Stroud: Warwick–Tweed Heads Exploration Data Package Vol. 2, Mineral occurrence data sheets, occurrence lists and mineral occurrence maps, December, 2001. Published by the Geological Survey of New South Wales (GS2001/087). [Smithsonite] B. G. Lottermoser: P. M. Ashley, M. Muller and B. D. Whistler (1997) Metal contamination at the abandoned Halls Peak massive sulfide deposits, New South Wales. Tectonics and Metallogenesis o/the New England Orogen. Geological Society of Australia Special Publication 19, 290-299. [Smithsonite] Byrnes, J.G. (1993) Bourke 1:250 000 Metallogenic Map (SH/55-10): Metallogenic Study and Mineral Deposit Data Sheets. Geological Survey of New South Wales, Sydney, 127p. [Smithsonite] A.L. McLean, J.Chapman, J.L. Sharpe and P.A. Williams (2004): The mineralogy of the oxidised zone of the E26 orebody at Northparkes, New South Wales. Australian Journal of Mineralogy 10, 53-57. [Smithsonite] Davidson, G. (2012) Mining Operations plan (incorporating a Rehabilitation Plan for the Wonawinta Silver Mine. R.W. Corkery & Co. Pty Ltd.
[Smithsonite] Gilligan, L.B., Suppel, D.W. (1993) Metallogenic Study and Mineral Deposit Data Sheets: Nymagee 1:250 000 Metallogenic Map (SI/55-2). Geological Survey of New South Wales, Sydney, 171 p.
[Hemimorphite] Gilligan, L.B., Suppel, D.W. (1993) Metallogenic Study and Mineral Deposit Data Sheets: Nymagee 1:250 000 Metallogenic Map (SI/55-2). Geological Survey of New South Wales, Sydney, 171 p.
[Hemimorphite] Crocoite.com, Australia and New Zealand Micromineral News, 2015 "Minerals of the Woodlawn Mine in the Southern Tablelands of NSW"
[Hemimorphite] Gilligan, L.B., Byrnes, J.G. (1995) Metallogenic Study and Mineral Deposit Data Sheets: Cobar Metallogenic Map 1:250 000 (SH/55-14), Geological Survey of New South Wales, Sydney, 240 pages. [Smithsonite] Gilligan L.B., Byrnes J.G. (1995) Metallogenic Study and Mineral Deposit Data Sheets: Cobar Metallogenic Map 1:250 000 (SH/55-14), Geological Survey of New South Wales, Sydney, 240pp. [Smithsonite] Leverett, P., McKinnon, A. R., Sharpe, J. L. and Williams, P. A. (2005): Secondary minerals from the central Cobar mines. Australian Journal of Mineralogy, 11, 75-82. [Smithsonite] Gilligan, L.B., Byrnes, J.G. (1995) Metallogenic Study and Mineral Deposit Data Sheets: Cobar Metallogenic Map 1:250 000 (SH/55-14), Geological Survey of New South Wales, Sydney, 240 pages. [Smithsonite] Geochemical, mineralogical and biogeochemical characterisation of abandoned metalliferous mine sites, Southern New England Orogen. In Flood P.G (ed.) Regional Geology, tectonics and metallogenesis, New England Orogen 1-3 Forum, 1999, Department of Earth Science U.N.E. Australia. ; B. G. Lottermoser: P. M. Ashley, M. Muller and B. D. Whistler (1997) Metal contamination at the abandoned Halls Peak massive sulfide deposits, New South Wales. Tectonics and Metallogenesis o/the New England Orogen. Geological Society of Australia Special Publication 19, 290-299. [Smithsonite] SECCOMBE, P. K., DOWNES, P. M., ASHLEY, P. M., BRATHWAITE, R., GREEN, G. R., MURRAY, C., & RUBENACH, M. J. World Skarn Deposits: Skarn Deposits of the Southwest Pacific. Economic Geology; McIlveen, G.R. (1975) Part 1. Mine Data Sheets to accompany Metallogenic Map, Ulladulla 1:250 000 Sheet. Geological Survey of New South Wales, 81 pages. [Smithsonite] Worner, H.K., Mitchell, R.W., eds. Birch, W.D. (et al) (1982) Minerals of Broken Hill. Australian Mining & Smelting Limited, Melbourne, 259 pages. [Hemimorphite] Ramdohr, P. (1950): Contributions to Mineralogy and Petrology 2(4), 291-333. [Hemimorphite] Birch, W.D., et al, (1982), Minerals Of Broken Hill, Australian Mining & Smelting Limited, Griffin Press Limited, Australia. [Smithsonite] Smithsonite,calcite and chamosite only from specimens seen on sale from Erocks labelled from the mine- http://erocks.com/locality/83045/home-bullion-mine-barrow-creek. [Smithsonite] Skwarnecki, M.S. (2004) Oonagalabi Basic Metal Prospect, Harts Range, Northern Territory, CRC LEME CSIRO Land and Water Report. [Smithsonite] Warren, R.G., Stewart, A.J., Shaw, R.D. (1974) Summary of Information on Mineral Deposits of the Arunta Complex, Alice Springs area, NT. Department of Minerals and Energy, Bureau of Mineral Resources, Geology and Geophysics, Record 1974/17. [Smithsonite] Shaw, R.D. (1970) Geology and copper deposits of the Pinnacles Bore Area, Strangways Range, Northern Territory. Department of National Development, Bureau of Mineral Resources, Geology and Geophysics, Record 1970/115. [Hemimorphite] Warren, R.G., Stewart, A.J., Shaw, R.D. (1974) Summary of information on mineral deposits of the Arunta Complex, Alice Springs area N.T. Department of Minerals and Energy, Northern Territory Government, Record 1974/117. [Hemimorphite] Sielecki, R. (1988) The Mount Isa-Cloncurry mineral field. Mineralogical Record, Vol. 19, pg. 469-490. [Hemimorphite] Lottermoser, B. G., Ashley, P. M., & Munksgaard, N. C. (2008). Biogeochemistry of Pb–Zn gossans, northwest Queensland, Australia: implications for mineral exploration and mine site rehabilitation. Applied Geochemistry, 23(4), 723-742. [Hemimorphite] Australian Mineralogist (5), 5-8. (1990); Noble R.J., Just J. and Johnson J. E., 1983, Catalogue of South Australian Minerals:1983, Government Printer, Adelaide. [Hemimorphite] Noble, RJ & Just, J, 1983 , Catalogue of South Australian minerals : 1983 , Dept. of Mines and Energy, South Australia, Adelaide. [Hemimorphite] Elliott, P. (1991): Minerals from the Beltana mine, Puttapa, South Australia. 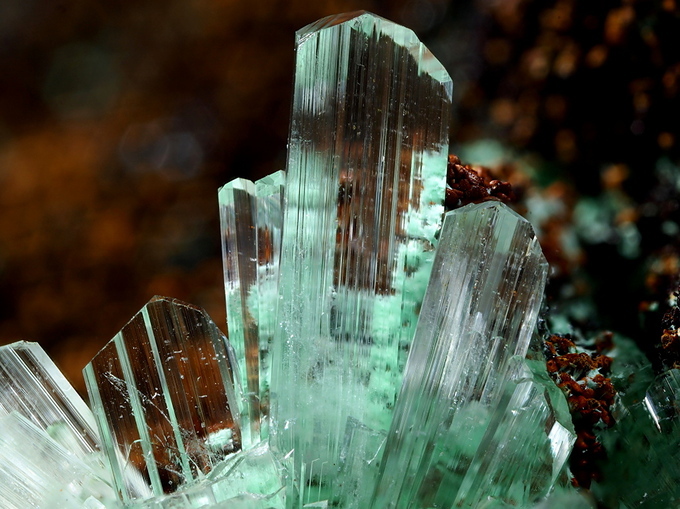 Mineralogical Record 22, 449-456. [Smithsonite] Record of Mines - Summary Card, No:2, SI5409 6629-1 & Noble R.J., Just J. and Johnson J. E., (1983), Catalogue of South Australian Minerals-1983, Government Printer, Adelaide, South Australia. [Smithsonite] Personal collection of M. Willoughby. [Hydrozincite] Kolitsch, U. and Elliott, P. (1999): Mineralogy of the Mount Malvern Mine near Clarendon, South Australia. Australian J. Mineral. 5, 3-17. [Smithsonite] Noble R.J, Just J, Johnson J. E. (1983), Catalogue of South Australian Minerals - 1983, Govenment Printer, South Australia. [Smithsonite] Birch, W. D. & Mills, S. J. (2007) Sulphide–carbonate reaction in recrystallised limestone at Lilydale, Victoria, Australia: a new occurrence of phosphohedyphane, Australian Journal of Mineralogy, 13(2), 73–82. [Hemimorphite] Nickel, E.H., Gartrell, B.J. (1993) Secondary Minerals of Ashburton Downs Western Australia, Mineralogical Record (May-June 1993) 24:3: 203-218. [Smithsonite] Simpson, Edward S. (1948) Minerals of Western Australia Vol 1 (Facsimile ed. 1984). Hesperian Press, Carlisle, Western Australia, p 397. [Hydrozincite] Ferguson, K.M. (1999) Lead, Zinc and Silver Deposits of Western Australia. Geological Survey of Western Australia, Mineral Resources Bulletin 15. [Hemimorphite] Economic Geology (1986) 81:156-172. [Hydrozincite] Hancock, E.A., Downes, P.J., Bevan, A.W.R. (2007) Secondary Minerals from the Braeside Lead Field Pilbara Western Australia, Australian Journal of Mineralogy (Dec 2007) Vol.13(2), pp55-65. [Hydrozincite] Hancock, E.A., Downes, P.J., Bevan, A.W.R. (2007) Secondary Minerals from the Braeside Lead Field Pilbara Western Australia, Australian Journal of Mineralogy (Dec 2007):13(2):55-63. [Hemimorphite] Nickel, E.H. (1982) Secondary minerals from the oxidized zone of the Teutonic Bore sulphide deposit. The Australian Mineralogist, No. 40, December 1982, pg. 219-223. [Smithsonite] Simpson, Edward S. (1952) Minerals of Western Australia Vol 3 (Facsimile ed. 1984). Hesperian Press, Carlisle, Western Australia, p 572. [Hemimorphite] Simpson, Edward S. (1928) Famous Mineral Localities: Wodgina, North West Australia, American Mineralogist, Vol. 13, No. 9, September 1928, pp.457-468. [Smithsonite] Ferguson, K.M. (1999) Lead, Zinc and Silver Deposits of Western Australia. Geological Survey of Western Australia, Mineral Resources Bulletin 15. [Smithsonite] Maitland, A. Gibb, 1908 The Geological Features and Mineral Resources of the Pilbara Goldfield. Reprint of Bulletins 15, 20 & 23. Perth: Western Australia Geological Survey. [Smithsonite] P. Downes, J. Bevan & A. Bevan (1998) - Minerals of the Whim Creek copper mine, Western Australia - Australian Journal of Mineralogy, Vol. 4, N°1, pp 13-29; Collins, P., Hooper, B., & Cornelius, M. (2004). Whim Creek Cu-Zn-Pb deposit, Pilbara, WA. Regolith Expression of Australian Ore Systems. CRC LEME, Perth, 1-3. [Smithsonite] Simpson, Edward S. (1948) Minerals of Western Australia Vol 1 (Facsimile ed. 1984). Hesperian Press, Carlisle, Western Australia, p 402. [Hemimorphite] Ferguson, K.M. (1999) Lead, Zinc and Silver Deposits of Western Australia. Geological Survey of Western Australia, Mineral Resources Bulletin 15. [Hemimorphite] Downes, P.J., Bevan, A.W.R., Costeo, D., Verrall, M. (2011) Mafic-hosted Secondary Mineralisation from the Shangri-La Pb-Ag-Au-Cu Mine Kimberley Western Australia, Australian Journal of Mineralogy, (Nov. 2011) 16: p15-24. 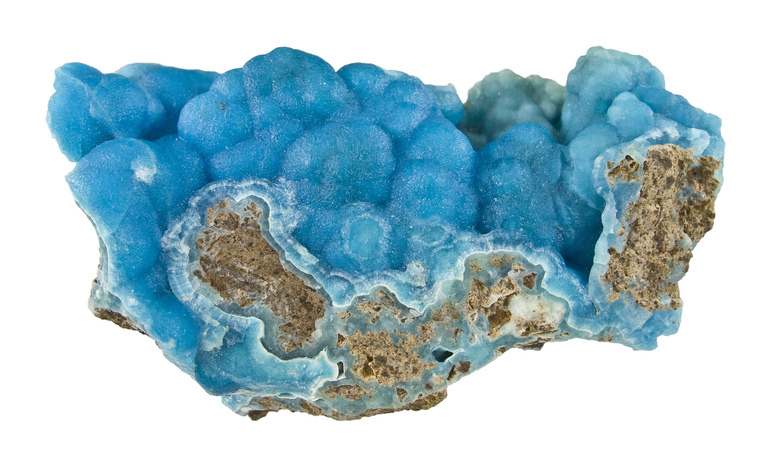 [Hemimorphite] Kolitsch, U., Brandstätter, F., Schreiber, F., Fink, R. & Auer, C. (2013): Die Mineralogie der weltweit einzigartigen Schlacken von Waitschach, Kärnten. Annalen des Naturhistorischen Museums in Wien, Serie A, 115, 19-87 (in German). Götzinger, M. (1985): Mineralisationen in den Gutensteiner Schichten (Anis) in Ostösterreich. Ein Überblick. Archiv f. Lagerst.forsch. Geol. B.-A., 6, 183-192. [Smithsonite] NIEDERMAYR, G., F. BERNHARD, H.-P. BOJAR, F. BRANDSTÄTTER, H. FINK, J. GRÖBNER, V. M. F. HAMMER, G. KNOBLOCH, U. KOLITSCH, B. LEIKAUF, W. POSTL, M. SABOR, & F. WALTER (2006): Neue Mineralfunde aus Österreich LV. – Carinthia II, 196./116. : 121-157. [Hemimorphite] Niedermayr, G. (1993): 906. Ein bemerkenswertes Vorkommen von Greenockit von der Windischen Höhe in den östlichen Gailtaler Alpen, Kärnten. P. 273 in NIEDERMAYR, G., F. BRANDSTÄTTER, B. MOSER, W. H. PAAR, W. POSTL, J. TAUCHER & H.-P. BOJAR (1993): Neue Mineralfunde aus Österreich XIIL. Carinthia II, 183./103. : 265-290. [Hemimorphite] A.Pichler (2012); Pichler, A. (1990): Befahrung des Gold- und Silberbergbaues am Lanischsee. Carinthia II, 180./100., 317-321. [Hemimorphite] Brandstätter, F., Niedermayr, G., Schabereiter, H., Walter, F. (2014): 1847) Hemimorphit aus dem Steinbruch „Irsa“ im Maltatal. Pp. 81-82 in Niedermayr, G. et al. (2014): Neue Mineralfunde aus Österreich LXIII. Carinthia II, 204./124., 65-146. 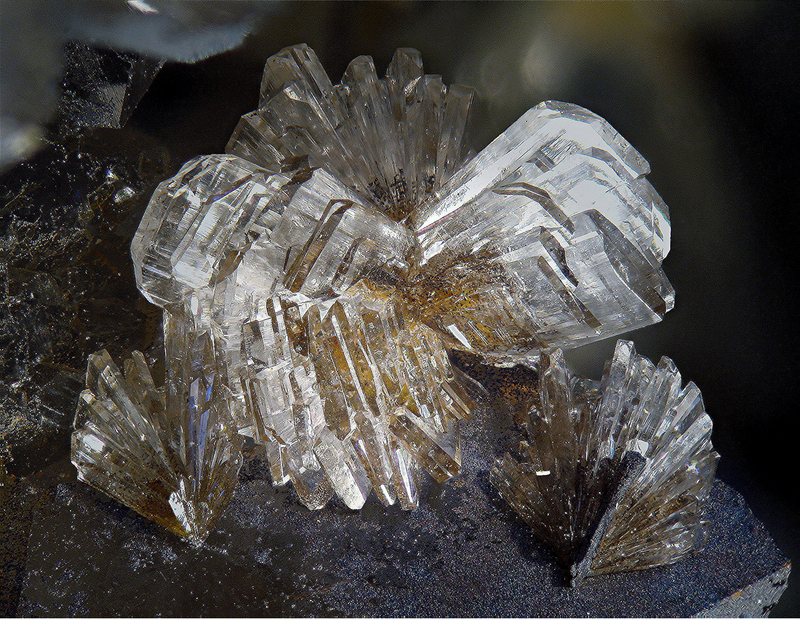 [Hydrozincite] Auer, C. (2004): Spektakuläre Neufunde aus Annaberg/Niederösterreich. Die Wiederentdeckung einer klassischen Fundstelle in Niederösterreich. Lapis 29(2), 13ff. [Smithsonite] Knobloch, G., Löffler, E., Kolitsch, U., Schillhammer, H. (2018): 2086) Ein weiterer Nachweis lagenförmiger Blei-Zink-Vererzungen in einem Marmorzug der Drosendorf-Einheit nebst mehr als 30 Begleitmineralien in einem kleinen Steinbruch bei der Lokalität „In der Luck’n“, Häusling, Dunkelsteinerwald, Niederösterreich. Pp. 221-223 in Walter, F. et al. (2018): Neue Mineralfunde aus Österreich LXVII. Carinthia II, 208./128., 185-254. [Hydrozincite] Hagenguth, G., Pober, E., Götzinger, M. A. & Lein, R. (1982): Beiträge zur Geologie, Mineralogie und Geochemie der Pb/Zn-Vererzungen Annaberg und Schwarzenberg (Niederösterreich). Jahrbuch der Geologischen Bundesanstalt 125, 155-218. [Hemimorphite] Huber, S. und Huber, P. (1977): Mineral-Fundstellen Band 8: Oberösterreich, Niederösterreich und Burgenland. C. Weise Verlag, München, 270 S.; Hagenguth, G., Pober, E., Götzinger, M. A. & Lein, R. (1982): Beiträge zur Geologie, Mineralogie und Geochemie der Pb/Zn-Vererzungen Annaberg und Schwarzenberg (Niederösterreich). Jahrbuch der Geologischen Bundesanstalt 125, 155-218. [Hemimorphite] U. Kolitsch, G. Knobloch, F. Brandstätter, E. Löffler und P. Tomazic (2012): Malachit und Strontianit vom Schwarzenberg bei Türnitz (NÖ) und Ranciéit vom Fuchsriegel bei Schwarzenbach an der Pielach (NÖ). Der Steirische Mineralog 26, 48-49. [Hydrozincite] Huber, S. and Huber, P. (1977): Mineral-Fundstellen Band 8: Oberösterreich, Niederösterreich und Burgenland. C. Weise Verlag, München, 270 pp. (in German); MEIXNER, H. (1976): 375. Mineralfunde vom Arzberg bei Spitz an der Donau, Niederösterreich. Pp. 32-35 in MEIXNER, H. (1976): Neue Mineralfunde aus Österreich XXVI. Carinthia II, 166./86., 11-42. [Hemimorphite] NIEDERMAYR, G. (1989): 762. Galenit, Hemimorphit, Sphalerit und Scheelit aus dem Magnetitvorkommen von Kottaun bei Geras. Pp. 257-258 in NIEDERMAYR, G., BRANDSTÄTTER, F., KIRCHNER, E., MOSER, B. & POSTL, W. (1989): Neue Mineralfunde aus Österreich XXXVIII. Carinthia II, 179./99., 231-268.; Kolitsch, U. (2014): 1884) Arsenopyrit, Jarosit, Mimetesit und Pyrit vom Arzberg bei Kottaun, Geras, Waldviertel, Niederösterreich. P. 119 in Niedermayr, G. et al. (2014): Neue Mineralfunde aus Österreich LXIII. Carinthia II, 204./124., 65-146. [Hydrozincite] Thiele, O. (1986): Bericht 1985 über geologische Aufnahmen auf Blatt 7 Großsiegharts. Jb. Geol. B.-A., 129 (2), 391. [Smithsonite] Kolitsch, U., Brandstätter, F., Löffler, E., Knobloch, G., Prayer, A., Pristacz, H., jun. & Thinschmidt, A. (2011): 1697) Die Mineralien der Marmorbrüche bei Winkl, Neupölla, Waldviertel. Pp. 161-163 in Niedermayr, G. et al. (2011): Neue Mineralfunde aus Österreich LX. Carinthia II, 201./121., 135-186. [Hemimorphite] Kirchner, E. Ch., Mrazek, R., Wimmer, H. (2007): Neue Mineralfunde von Bergbauhalden Radhausberg Süd (Weißental) Kreuzkogel. Mineral. Archiv Salzburg 12, 251-254. [Hemimorphite] Niedermayr, G. et al. (2008): Neue Mineralfunde aus Österreich LVII. Carinthia II, 198./118., 223-274. [Hemimorphite] A. Strasser: Die Minerale Salzburgs (1989); Kohout, K. (1997): Achselalm, Hollersbachtal: Bergbau auf Blei-Zink-Erze im Oberpinzgau (Salzburg). Lapis, 22 (10), 38. [Hemimorphite] Mrazek, R. & Feitzinger, G. (1992): Bemerkungen zur Gold-Silber-Vererzung vom Bergbau Leidenfrost am Rauriser Sonnblick. Mineralogisches Archiv Salzburg, 3, 54-57. [Hemimorphite] Schnorrer, G. & Bacher, F. (2000): Die Mineralien von der Sonnblick- Nordwand, Rauris, Salzburg / Österreich - insbesondere der erste Khaidarkanit- Fund in Österreich. Mineralien-Welt, 11 (5), 52-57. [Hemimorphite] Niedermayr, G. & Wittern, A. (2009): Mineralreiches Österreich - Tirol, Salzburg, Vorarlberg. Bode Verlag, Haltern, 144 pp. [Hydrozincite] Lewandowski, K., Lerch, H. & Seemann, R. (2006): Chronik - Schaubergwerk Hochfeld "Bergbau im Untersulzbachtal – Eine fast vergessene Welt" Die 500-jährige Geschichte des Kupferbergbaus am Hochfeld im Untersulzbachtal. Zukunftskollegium Nationalpark Hohe Tauern, Neukirchen a. G., 288 pp. [Hemimorphite] Schachinger, T., Kolitsch, U., Bernhard, F. & Bojar, H.-P. (2014): Erzmineralisationen und ihre Verwitterungsprodukte aus dem weiteren Bereich der Steirischen und Lungauer Kalkspitze. Der Steirische Mineralog 28, 8-21. [Hemimorphite] Schachinger, T., Bernhard, F. & Postl, W. (2015): 1934) Anglesit, Cinnabarit, Duftit-Mottramit, Hemimorphit, Hydrozinkit, Metacinnabarit, Mimetesit und andere Mineralien aus dem derzeit aktiven Dolomitsteinbruch bei Mauterndorf. P. 240 in Niedermayr, G. et al. (2015): Neue Mineralfunde aus Österreich LIX. Carinthia II, 205./125., 207-280. [Hemimorphite] Niedermayr, G. (1991): 845. Cinnabarit, Hemimorphit, Smithsonit und Sphalerit von der Kranzlhöhe, Steirische Kalkspitze, Steiermark. Pp. 169-170 in: Niedermayr et. al. : Neue Mineralfunde aus Österreich XL. Carinthia II, 181./101., 147-179; Schachinger, T., Kolitsch, U., Bernhard, F. & Bojar, H.-P. (2014): Erzmineralisationen und ihre Verwitterungsprodukte aus dem weiteren Bereich der Steirischen und Lungauer Kalkspitze. Der Steirische Mineralog 28, 8-21. [Smithsonite] Günther, W. (Ed.) (2007): Salzburgs Bergbau und Hüttenwesen im Wandel der Zeit. Leoganger Bergbaumuseumsverein, Leogang, 400 pp. [Hemimorphite] P. Tomazic, F. Bernhard, U. Kolitsch und G. Knobloch (2012): Mineralogie eines historischen Bergbaues auf Eisen und Silber am Arzberg bei Steinhaus am Semmering. Der Steirische Mineralog 26, 4-9. [Hemimorphite] Schachinger, T., Auer, Ch., Tomazic, P., Bernhard, F. & Postl, W. (2013): Eine Blei-Zink-Silber-Mineralisation im Graschnitzgraben südlich von St. Marein im Mürztal, Fischbacher Alpen, Steiermark. Der Steirische Mineralog, 27, 4-9. [Hydrozincite] Mitteilungen der Abteilung für Mineralogie am Landesmuseum Joanneum (1983) , Bände 51-59. [Hemimorphite] C. Auer (1990); Schachinger, T., Kolitsch, U., Bernhard, F. & Bojar, H.-P. (2014): Erzmineralisationen und ihre Verwitterungsprodukte aus dem weiteren Bereich der Steirischen und Lungauer Kalkspitze. Der Steirische Mineralog 28, 8-21. [Hemimorphite] Postl, W. & Moser, B. (1988): Mineralogische Notizen aus der Steiermark. Mitt. Abt. Miner. Landesmuseum Joanneum, 56, 5-47. [Smithsonite] Exel, R. (1993): Die Mineralien und Erzlagerstätten Österreichs. Author's edition, 447 pp. Mutschlechner, G. (1954): Der Erzbergbau in der Umgebung von Imst. In: Imster Buch, Beiträge zur Heimatkunde von Imst und Umgebung, Schlern-Schriften Band 110, Innsbruck, 29-59. [Hemimorphite] Mutschlechner, G. (1954): Der Erzbergbau in der Umgebung von Imst. In: Imster Buch, Beiträge zur Heimatkunde von Imst und Umgebung, Schlern-Schriften Band 110, Innsbruck, 29-59. [Hydrozincite] Christian Steck collection; Sidiropoulous, L. (1983): Zn-Pb-Vererzungen in Breccienzonen triadischer Karbonatgesteine der Nordtiroler Kalkalpen (zwischen Telfs, Biberwier, Nassereith und Imst). Veröffentl. d. Tiroler Landesmuseums Ferdinandeum 63, 115-133.; Steck, C. & Kolitsch, U. (2017): 2019) Cerussit und Wulfenit aus den Bergbauen Krom bzw. Kuchelzeche (Steinmannl), Lechtaler Alpen, Nordtirol. P. 233 in Walter, F. et al. (2017): Neue Mineralfunde aus Österreich LXVI. Carinthia II, 207./127., 217-284. Clar, E. (1929): Über die Blei-Zinklagerstätte St. Veit bei Imst (Nordtirol). Jahrbuch der Geologischen Bundesanstalt, 79, 333-356. [Hemimorphite] Hanneberg, A., Simon, P. & Wolkersdorfer, C. (2009): Galmei und schöne Wulfenite: Der Blei-Zink-Bergbau rund um den Fernpaß in Tirol. Lapis 34 (4), 21-31; 54. [Hydrozincite] Schnorrer, G. and Poeverlein, R. (2002) Schwaz-Brixlegg-Fundstellen: 2. Die Minerale des Stockerstollens bei Brixlegg in Tirol. Aufschluss, 53, 209-228. [Hydrozincite] R. Poeverlein and J. Gröbner (2007): "Der Bergbau Geyer bei Rattenberg in Tirol und seine Mineralien", Lapis 32(2), 34-38. [Hydrozincite] Putz, H. & Poeverlein, R. (2010): Die Mineralien des Silberbergstollens bei Unterstein, Reith bei Brixlegg, Tirol. Lapis 35 (5), 37-41; 58. [Smithsonite] Exel, R. (1982): Die Mineralien Tirols, Band 2: Nord- und Osttirol, Vorarlberg. Verlag Athesia, Bozen, 198 pp. Franz Max Wöß (1936): Das geschichtliche Tiroler Bergwerk im Karwendel. Der „Silberne Hansl“ in der Lafatsch. Tiroler Heimatblätter, Monatshefte für Geschichte, Natur- und Volkskunde, 14 (5-6), 168-174. [Smithsonite] Strasser, G. (2008): Zur Vererzung (Fe - Zn - Pb - Cu - As) und tektonischen Position des Arikogels N Hallstatt. Diplomarbeit, Universität Wien, 108 pp. [Hydrozincite] - P.Arthofer, in: Der Bleibergbau in der Kaltau bei Steyrling – Ein montanhistorisches Relikt im Bezirk Kirchdorf. OÖ Geonachrichten, MFOÖ Mineralien - und Fossiliensammler Oberösterreichs mit ARGE Mineralogie, Geologie und Paläontologie im Oberösterreichischen Landesmuseum 13, (1998) 6 Abbildungen, Seite 29 – 34. [Hydrozincite] - Peter Arthofer, in: Die Mineralführung der Triaskalke im Bereich Gaisberg – Dürres Eck bei Molln im Steyrertal, Oberösterreich. OÖ Geonachrichten, MFOÖ Mineralien - und Fossiliensammler Oberösterreichs mit ARGE Mineralogie, Geologie und Paläontologie im Oberösterreichischen Landesmuseum 10, Linz 1995, 2 Abbildungen, 1 Karte, Seite 21 – 26. [Hydrozincite] Arthofer, P. (2004): Enargit aus den Gutensteiner Kalken des Dambachtales bei Windischgarsten - Vorbericht. OÖ. Geonachrichten 19, 15-17. [Hemimorphite] Kolitsch, U. (2014): 1862) Aurichalcit, Fluorit, Hemimorphit, Hydrozinkit, Limonit und Smithsonit vom Nordhang des Kriegerhorns bei Lech, Vorarlberg. P. 102 in Niedermayr, G. et al. (2014): Neue Mineralfunde aus Österreich LXIII. Carinthia II, 204./124., 65-146. [Hemimorphite] Kolitsch, U. (2014): 1863) Zur Mineralogie der Pb-Zn-Vererzung an der Gstüatalpe bei Zug, Vorarlberg. Pp. 102-103 in Niedermayr, G. et al. (2014): Neue Mineralfunde aus Österreich LXIII. Carinthia II, 204./124., 65-146. Srbik, R. (1929): Bergbau in Tirol und Vorarlberg in Vergangenheit und Gegenwart. Ber. d. Naturwiss.-med. Vereins, Innsbruck, 41, 113-279. [Hydrozincite] Kolitsch, U. (2014): 1857) Allophan(? ), Aragonit, Asbolan, Aurichalcit, Brochantit, Calcit, Chalkopyrit, Chlorit, Covellin, Galenit, Goethit, Greenockit(? ), Hydrozinkit, Jarosit, Lepidokrokit, Malachit, Mikroklin, Pyrit, Pyrrhotin, Quarz, Siderit, Smithsonit und Sphalerit von einem alten Erzschurf bei der Alpe Fresch im Silbertal, Montafon, Vorarlberg. Pp. 94-96 in Niedermayr, G. et al. (2014): Neue Mineralfunde aus Österreich LXIII. Carinthia II, 204./124., 65-146. [Hydrozincite] Kolitsch, U. (2014): 1860) Almandin, Aurichalcit, Axinit-(Fe), Cerussit, Chabasit-Ca, Chlorit, Galenit, Heulandit-Ca, Hydrozinkit, Laumontit, Magnetit, Rutil, Stilbit-Ca, Stellerit und Turmalin von der Madererspitze (Valschavieler Maderer) im Montafon, Vorarlberg. Pp. 99-101 in Niedermayr, G. et al. (2014): Neue Mineralfunde aus Österreich LXIII. Carinthia II, 204./124., 65-146. [Hemimorphite] Kolitsch, U. (2014): 1861) Aurichalcit, Hemimorphit und Sphalerit vom Maderertali im Montafonm, Vorarlberg. P. 102 in Niedermayr, G. et al. (2014): Neue Mineralfunde aus Österreich LXIII. Carinthia II, 204./124., 65-146. [Hemimorphite] Kolitsch, U. & Brandstätter, F. (2011): 1684) Vorbericht zu einer Vererzung am Fellimännle, Rindertal (Gaflunatal), Montafon. Pp. 151 in Niedermayr, G. et al. (2011): Neue Mineralfunde aus Österreich LX. Carinthia II, 201./121., 135-186; Kolitsch, U. (2012): 1740) Hydrozinkit, Rozenit und Smithsonit vom alten Bergbau am Fellimännle, Rindertal (Gaflunatal), Montafon, Vorarlberg. P. 147 in Niedermayr, G. et al. (2012): Neue Mineralfunde aus Österreich LXI. Carinthia II, 202./122., 123-180. [Hemimorphite] Kolitsch, U. (2009): 1578) Hawleyit, Hemimorphit, Hydrozinkit, Posnjakit und Sphalerit von der Putzkammeralpe im Rindertal (Gaflunatal) Montafon, Vorarlberg. Pp. 202-203 in: Niedermayr, G. et al. (2009): Neue Mineralfunde aus Österreich LVIII. Carinthia II, 199/119, 189-236. [Smithsonite] Hatert, F., Deliens, M., Fransolet, A.-M. & van der Meersche, E. (2002): Les minéraux de Belgique. 2ème édition, Muséum des Sciences Naturelles, Bruxelles, Ed., 304 p.
L. Dejonghe, Bull. Minéral. , 1985, 108, pp. 679-690. [Smithsonite] H. Kucha et al., European Journal of Mineralogy, 1996, Vol. 8, N°1, pp. 93-102. [Hemimorphite] Hatert, F., Deliens, M., Fransolet, A.-M. & van der Meersche, E. (2002): Les minéraux de Belgique. 2ème édition, Muséum des Sciences Naturelles, Bruxelles, Ed., 304 p.
[Hemimorphite] L. Dejonghe et al - Atlas des gisements plombo-zinciferes du synclinorium de Verviers - 1993 - 483 pages. [Hemimorphite] L. Dejonghe, F. Ladeuze, D. Jans (1993): Atlas des gisements plombo-zinciferes du synclinorium de Verviers. page 179-185. [Hemimorphite] Braun, M., (1857): Über die Galmeilagerstätte des Altenberges im Zusammenhang mit den Erzlagerstätten des Altenberger Grubenfeldes un der Umgegend, Zeitschrift d. Dt. Geolog. Gesellschaft; Palache, C., Berman, H., & Frondel, C. (1951), The System of Mineralogy of James Dwight Dana and Edward Salisbury Dana, Yale University 1837-1892, Volume II: 736. [Hemimorphite] Rocks & Min. : 20:467. [Hydrozincite] van Tassel, R., (1979): Minéraux artificiels ou de néoformation à Plombières et Sclaigneaux, Belgique, Bulletin de la Societe Belge de Géologie, 88 (4), 273-279; Blaß, G. & Graf, H. W. (1995b): Neufunde von Schlackenhalden in der nördlichen Eifel (II). Mineralien-Welt, 6 (3), 28-31. L. Dejonghe, F. Ladeuze and D. Jans (1993): Atlas des gisements plombo-zinciferes du synclinorium de Verviers (Est de la Belgique). [Hemimorphite] Coppola, V., Boni, M., Gilg, H.A., Balassone, G., and Dejonghe, L. (2008): Ore Geology Reviews 33, 187-210. [Smithsonite] Blondieau, M. (1997): Recherches Miniers, mines et carrieres de Famenne. [Hemimorphite] De Nul, R. (2006): De mijn van Beauraing, Namur, België. Geonieuws, Mineralogische Kring Antwerpen V.Z.W. [Hemimorphite] Blondieau, M. et al. (2012): Minéralogie de la carrière de Beez, Province de Namur (Belgique). Le Règne Minéral, 104, 5-26.